Retired Gen. James Mattis, one of the most revered Marine Corps generals of this generation, will be presented with an award for tremendous public service on Monday night. Foreign Policy Research Institute in Philadelphia on Monday night. 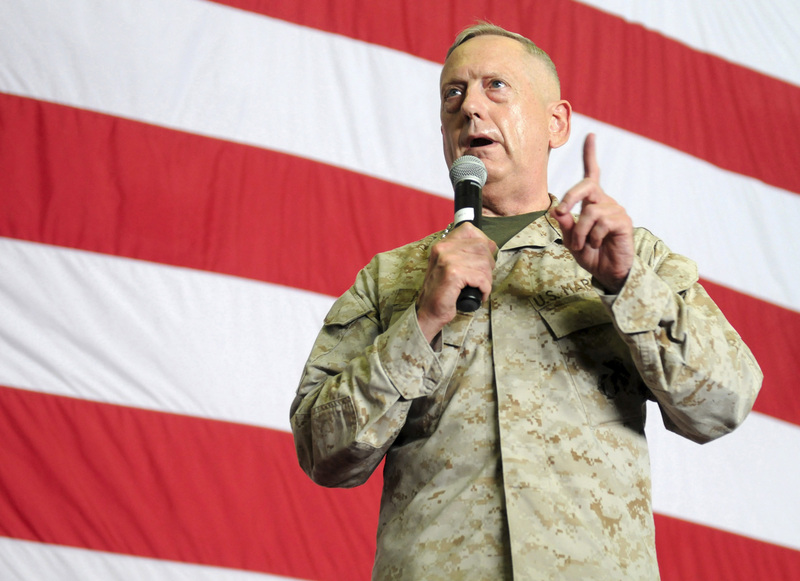 Mattis was named the 2013 recipient of the Benjamin Franklin Award for Public Service. He’ll be the ninth recipient to receive the award, which is sponsored by the Foreign Policy Research Institute, a Philadelphia-based think tank. The general will be recognized for serving more than four decades in the Marine Corps, before retiring in May. He led the 1st Marine Division, during the initial invasion of Iraq and served as head of U.S. Joint Forces Command, as well as U.S. Central Command. In addition to receiving the award, Mattis will also serve as the keynote speaker during the institute’s annual dinner. His address is titled, “Reflections of a Combatant Commander in a Turbulent World.” More than 400 guests are expected to attend. Prior recipients of the Benjamin Franklin Award for Public Service include: Henry Kissinger, Charles Krauthammer and John Bolton.